In Texas, government takes a “hands off” approach on most aspects of private business and as such is known as an “at will” state. Private sector employers in Texas have latitude to terminate employment relationships with or without good cause. At the same time, employees can terminate their employ with or without good cause without repercussions. Neither the employer nor the employee has to give reason for termination and no penalties will apply. The “at will” mandate is clear cut. But, there are a few exceptions where either Texas Labor Code or federal statutes rise to the defense of maligned workers. Sexual harassment in the workplace is once such instance. Another is retaliation against persons who files or who intends to file a legitimate workers’ compensation claim for an injury suffered on the job. This is known as worker’s compensation retaliation. Texas Labor Code 451 offers an exception to the “at will” employment status in the form of protection against employers who attempt retaliation against workers who file for workers’ compensation benefits. Texas Labor Code 451.001 lists 4 specific examples of compensation areas where workers are protected against discrimination and retaliation from employers. Texas Labor Code 451.001 sets a statutory exception to the state’s common-law doctrine of “at will” employment. In passing this legislation, the state legislature sought to ensure that all workers had protection when pursuing their legal rights to workers’ compensation benefits. 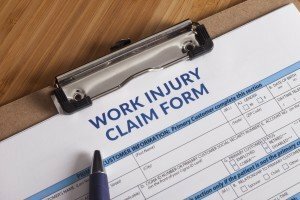 In plain language, workers in Texas can feel free to file claims and receive workers’ compensation benefits without retribution from their employer or persons in authority at their place of employment. It is against the law for an employer to terminate or discriminate against an employee who pursues rightful workers’ compensation claims. Employers who retaliate against workers who file for workers’ compensation benefits or who intend to file a claim are guilty of discrimination under statue 451.001. Discrimination is a serious, punishable offense. But, it happens because with each successful compensation claim, the employer’s insurance rate is likely to increase. If you or someone you know has suffered worker’s compensation retaliation, you should call the Fort Worth, Texas, warriors for justice at Hutchison & Stoy, PLLC, at 817-820-0100. If your claim is legitimate, you are entitled to your benefits under workers’ compensation. Hutchison & Stoy, PLLC, handles cases involving section 451 of the Texas Labor Code. In most cases, when an employer does not abide by this legislation, the burden of proof rests upon the employee to show their discharge was due to their rightful filing for benefits. In previous cases, the employee does not have to prove retaliation was the sole cause of termination but only needs to prove that “but for” filing the workers’ compensation claim the termination would not have taken place. Texas courts have a willingness to accept circumstantial evidence to prove existence of a causal connection between the filing and the termination. Texas courts have permitted other criteria to help establish an unjust termination due to filing or collection of workers’ compensation benefits. And, the employee need not prove each of these factors. Additionally, to be protected under Texas Labor Code 451, the employee only needs to notify a supervisor of their intent to file. Once such notice is given, the employee is protected. The Fort Worth law firm of Hutchison & Stoy, PLLC, takes employee rights and worker’s compensation retaliation seriously. Anyone suffering discrimination and retaliation for filing a legal claim for workers’ compensation benefits should contact the warriors for justice at 817-820-0100 to schedule a free and confidential consultation regarding your case.